One of the sweetest compliments a writer can hear is ‘I loved your book, please write the sequel’. And we live in a sequel-minded world. If there are any sure-fire ways to build a readership, a series is one of them. So if people are asking for a sequel and you hadn’t planned one, should you consider it? Certainly, a lot of hard work has already been done. You know the characters. Indeed, you may have had trouble shutting them away once edits were done. The chance to shake them awake again may be hard to resist. You might have plenty of material. Outtakes that you pruned from the original novel, back story you wanted to work in but, mindful of pace or the reader’s attention, you cut. They could all be used, couldn’t they? These are strong temptations, but they do not mean your novel should have a sequel. Neither should you write a sequel because the reader has unanswered questions. At the moment, those are part of the novel’s resonance. If you answer them, would the magic disappear? Would your answers, in fact, be wrong now that this dimension of the book belongs to the readers? What will create a story in your sequel? Stories need a crisis. If you wrote a sequel, where would this new crisis come from? In some genres, crisis comes with the territory. It’s a natural hazard of the characters’ job, heritage, world, race, DNA and dynasties etc. With those ingredients, your characters will have stories for ever more. Write them, and enjoy their rich variety. Other novels, particularly non-genre, tend to be self-contained. The arc of the book was the defining experience of the characters’ lives. You wrote ‘The End’ when this was resolved, as much as possible. If you then put those characters through another story with a shift of similar magnitude, will that be hard to believe? And if the characters don’t have a fundamental disturbance, will they be interesting to read about? Remember, they’ve got to match up – or even surpass – the frisson of the original. But it can be done. Think Toy Story 3. Should you reassemble the original cast? In a genre novel you might have a team who will always be thrown together. Indeed they might create a pseudo-family who give each plot an emotional core while they deal with the crisis du jour. At the end, they reassemble, tested, battered and wiser. But in other novels, it may be better if the characters disperse. Daphne Du Maurier’s Rebecca has some perfectly ghastly sequels. Obviously licensed by the estate in an attempt to milk the fans, they squeal a warning for all would-be sequelers. They’re novels constructed by tick-boxes, contriving to drag the scattered characters out of contented retirement and flogging them onto the same treadmill again. In most cases they’ve already given their best, first time round. Leave them be. So straight sequels may be dodgy, but you might have good mileage in a spin-off. While the principals from book one may be living a better-adjusted life, others could take centre stage. The original characters could be cameos to advise, steer, perhaps muddle everything up because the new crisis is not like the thing that happened to them. Another possibility is to write the ‘missing years’ or a prequel. Perhaps one of your characters had an interesting interlude from far earlier in their life. Or if your original narrative was first person, perhaps there were other good stories happening around the corner. You might have a central character who still has a lot to offer. This is particularly true of catalyst characters, who stir up trouble but don’t change very much themselves. Throw them into a new situation and they will cause another maelstrom, just because. I get regular requests to write more about a certain catalyst character, who seems to inspire much speculation. Sometimes we writers want a sequel just as much as the readers do. But we have to take a look at what we would offer. After I finished with My Memories of a Future Life, I spent weeks doodling with aftermath scenes. They were indulgences, from a writer trapped in the deep end, struggling to surface. At the time, I intended them to be a continuation of the narrative but they went nowhere. The characters had stopped opening their hearts, as if what happened next was none of my business. Or perhaps I hadn’t found the right things for them to do. It’s certainly possible that some of the Future Life people will rear up with a new urgent story. If they convince me that a lot more must be said and done, I shall write it without hesitation. Until then, there are other stories I need to tell. Are you tempted to write a sequel to your novel? If you’ve read sequels, what have you liked and what has made you wish the original was left alone? Share in the comments! If you’re working up an idea for a novel, you might find some useful tips in my book Nail Your Novel: Why Writers Abandon books and How You Can Draft, Fix and Finish With Confidence. And in that case, I find I have plenty more to say and so a second Nail Your Novel is under construction. If you’d like information, sign up for my newsletter. This entry was posted on December 29, 2012, 6:43 pm and is filed under How to write a book, self-publishing, The writing business, Writer basics 101. You can follow any responses to this entry through RSS 2.0. You can leave a response, or trackback from your own site. Thanks Roz! I love writing sequels. Thanks, Pamela! As a confirmed sequel-fan, do you have any tips to add? How do you approach it? Excellent post. The Bet has 2 sequels, but I shan’t spoil it by explaining how crises etc occur. But they occurred because the narratives just kept coming and coming. But some can’t. One (unpublished as yet) certainly can’t, as it was written entirely as catharsis for some pretty terrible events in my own life, and is complete and sealed now. Others may but only if the characters somehow start talking to me again. Away With The Fairies is in some senses a spin-off of a novel that’s still unpublished. Isobel was *best supporting actress* in that one, and started to tug at my sleeve. She’s in four novels now. The other thing when people ask you to write a sequel, they may well not have in mind what you would. I had someone ask me about a sequel for Strangers & Pilgrims (which, admittedly, is in the offing) but her idea was to follow two characters in a very different sort of novel. Each novel has to stand alone; if there is more, then it comes or it doesn’t. Setting out to hunt it down may well bring in rather deadened results. Hi Viv! If they arise naturally, sequels can create a great sense of coherence. I bet (forgive the pun) your readers enjoy the sense of a bigger world in your fiction, which allows them to feel at home no matter which of your novels they pick up first. And how interesting to hear readers’ alternate suggestions. They’re always worth listening to, even if they wouldn’t be what you’d write. Sometimes they are inspired. Done right, I love sequels. And by ‘done right’ I mean sequels with a purpose, with something to say–not written simply to indulge the author or readers. I love the stories I pen. And, so, it’s not surprising that I would try to extended my time in those worlds. Hi Leanne – good distinction. Nobody objects to sequels written because there was more to say. Thanks for commenting! I’m using different characters, but there are some slight connections, which are quite fun to create and find both for me and my readers. Hi Carla! Sci-fi does lend itself to sequels. Often we have to create such a rich world that there are many more possibilities than we could get into just one story. And for the readers, part of the appeal is the world, and what might happen to people who live there. They also want to see it explored more widely. And slight connections create a nice feeling of coherence without having to force anything. The sequels I find myself drawn to generally feature a spin-off character. The novel I published is actually a sequel with a different protagonist (though the prequel is currently in drawer status). Neil Gaiman’s Neverwhere is positively rich with possibilities for spin-off characters. Gaiman has hinted he may write one down the road. I sure hope he does as I am in love with his world! Then there is the diluting sequel. Anne of Green Gables was a fantastic novel. Anne of Avonlea was pretty good, then blah for the rest of the line. I stopped reading. But the sequels I HATE (and refuse to read) are those the original author didn’t write. Agatha Christie had the right idea when she killed Hercule Poirot, and apparently she did it because she hated what happened with Ian Fleming. Hi Deb! Yes, Neil Gaiman does worlds and atmosphere very well. I never read the Anne series, but I remember it on TV – and experienced in parallel what you’re describing here. Green Gables was terrific, Avonlea was losing momentum and the others were tired. Interesting that you found that about the books. Good point about sequels written by someone else. I love Ian Fleming’s original novels. I read a bit of the Sebastian Faulks incarnation but felt he didn’t have the commitment to the world – he was too self-conscious and sending it up. He was a dreadful choice to continue the series. I know there have been others, but I like the contact with Fleming’s imagination. Interesting take. I love sequels (assuming I loved the original), and I know that publishers do, as well. Publishers certainly do, Richard. And I love the anticipation of another book that continues a terrific story. I very much hope it lives up to that promise. I tend to think that any more than three books is usually a death knell for me. There are a few exceptions, of course. Diana Gabaldon’s Outlander series and a few good mystery/detective series can get away with it, but I usually lose interest after three. Having said that, I’d like to write a sequel to my historical novel, it’s set in the early history and settlement of the Hunter Valley in Australia. It was a time of change and challenge, so there’s heaps of scope for my protagonist to get into and out of trouble. Bushrangers, aboriginals and convicts all ready to jump in and stir up her life. More than three? I read a terrific series by Piers Anthony when I was a kid – Bio of a Space Tyrant. It ran to 5 novels, each as good as the last. But it had clearly been planned as five books because it covered the arc of the character’s life, and he wasn’t a space tyrant until the final book. Your historical novel sounds like it would have plenty of scope for change. And Hilary Mantel has managed well enough, making sequels out of novels set in Elizabethan England. A very important statement, pointing to a problem we currently have with literature. We write for readers, not ourselves. We pull from our imagination to complete that primal need of giving something to others. Once you’ve given readers a well-crafted story to make of it what they will, it seems a slight betrayal of the act of giving to take away the reader’s personal experience. What we can give over and over again is our unique voice, our perspective on life’s circumstances, our style of engagement. Those are the bonds we establish with our readers, and if done well, there’s a rewarding relationship established. They don’t need the same people appearing repeatedly (unless it’s genre fiction), nor do they (we!) want a rehash of yesterday’s news. But that voice, yes, we want that voice. And we want to trust that our favorite authors will dig down and give us fresh characters in circumstances more complex than those we live out each day, and the hope they will show us a way that hints of coming through the dark. Love your description here of what we want from non-genre novels. A mini-post in itself. 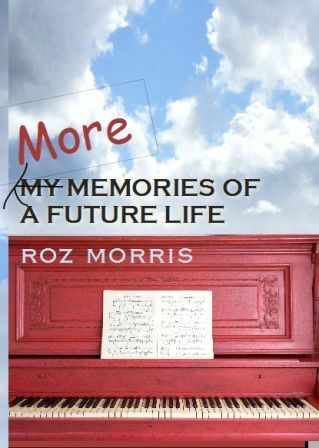 Roz is very generous with sharing her experience…take a look at this and many other of her blog posts. Thanks for sharing this, Mandy! Nice aquarium analogy, which brings home the horror of some ill-conceived sequels. Reading is all about the experience. If it’s possible to recreate it and not bore the reader, good. If not, it’s better to move on. I’ve been in this very situation lately Roz, so your post is quite timely. My readers – almost all of them – seem not only to want a sequel, but they say they *expect* it from the way it ends, even though I never intended to write one. You have said that sometimes there is nowhere for the story to go (regardless of the reader’s expectations) and that’s how I felt about mine. A sequel – or a spin off – is technically possible, but I know it would only really be a dragging out of the ending that has already been implied in the novel as it stands now. Does that make sense? On a separate note, is there any truth to what I’ve heard that a lot of publishers now prefer authors who write series rather than one-offs? This was one of the factors (among many others) that put me off seeking a traditional publisher for my novel. Yes, publishers do prefer authors who have more than one book in them. But that doesn’t have to be sequels. Sequels are easier to market, but as we’ve said, not always artistically right. But publishers definitely want to see you can write another novel for the same audience, because they don’t want to build your brand and then not have a follow-up to offer. Ah, so it’s not necessarily about the sequel, but general output. Thanks for clearing that up for me. Yes, thankfully most of my readers say the ending feels right. For some reason it happened at one point that a significant number said they wanted a sequel. So I became paranoid. 🙂 Since that time, I discovered the actual issue, which was more to do with my failure to be clear on one single point, and fixing that only requires the addition of one line. So now I’m going to publish a new edition incorporating that minor edit. Good thoughts. I am writing a sequel, and am finding it very difficult not to include characters from the first one. But I understand that the story needs to demand them if they are to appear. Good policy, John – and thanks for commenting! I wasn’t tempted to write a sequel to my novel until I got about half way through and realised that a secondary character was taking on a life of his own and had a whole other story to tell. I guess it is more like a spin off as he goes in a different direction from the plot of the first. I agree that sequels should always be for very good reason, they should not be tacked on as a mindless cash-in. Dead right, mgm – and have fun spinning! I agree that sometimes another story can be written with the same characters and sometimes it is best left alone. I write crime police procedural stories so the conflict is easy to dream up. As a reader I enjoy the familiarity of a character I’ve read before. I’ve been reading the Odd Thomas books by Dean Koontz and after reading half a dozen books of differing genres and writers it was nice to curl up with the latest instalment from Odd Thomas. See what he’s up to. Happy new year, Pete! And as a reader I agree it’s nice to return to some much-loved characters. I find some authors make me feel like that too – whatever they’re writing, their style is so distinctive that it’s like spending time with them personally. Oh the temptation. Yes, it’s definitely there. I love reading sequels after I’ve fallen in love with characters in a novel. But when I think about writing a sequel to Emma Jean’s Bad Behavior, I realize that much of her character arc has already been dealt with. So, hmm. I do like the idea of taking a different character from the novel and writing about them. Thanks for a great post. I’m trying to write a sequel to my book and I don’t know what to start on the first chapter. Can you help me?My original book is a horror mystery book of a man named Alan Blackwood who visits a haunted building that used to be an attraction. The more he stayed,the more secrets he will discover in the building. He has a wife named Angela and two kids named Adam and Jessica. I want the second novel to focus on Adam,the little child of the family. How can I start? HI Gianna! Interesting question. Do you mean how should you write the opening? If an opening chapter isn’t immediately obvious, just start writing anyway. We usually have to polish the beginning last of all because we don’t truly understand the frame of the story until then. We don’t know what themes we want to highlight or what expectations to seed. So start writing the part that siezes your imagination most fully – and build from there.